There is a massive amount of scientific evidence of Sports and Physical activity as part of a healthy lifestyle. There is an immense effect in engaging yourself with physical activity or sport which brings positivity in mind and body. Lack of activity destroys the good condition of every human being, while movement and physical exercise save it and preserve it. Appropriate forms of sports and physical activities can play a significant role to cure as many diseases. Physical activity is any bodily movement produced by the muscles that uses energy. This includes sports, exercise and other activities such as playing, walking, doing household works or gardening. By opting this lifestyle you can prevent yourself from a lot of diseases like cardiovascular disease, diabetes, hypertension, bipolar depression and osteoporosis and psychological disorders. Sports and physical activities can make a notable contribution to the well-being of people. These have been long used in the treatment and rehabilitation of communicable and non-communicable diseases. It’s a cost-effective method to improve your health. Everybody should regularly participate in physical activity or sport regardless of age or gender. It provides additional for certain groups. Peoples who are inactive should start doing small amounts of physical activity and increase the duration of exercise gradually to match the intensity or frequency of time. Older people with medical limitations can take benefits when they become more active. Physical activity and sports contributes to healthy bones, efficient heart rate, perfect functioning of lungs and empowers cognitive function. There physical development matters when it comes to injuries they are less likely to suffer as their bones and muscles become strong. Any existing risk can be reduced by taking positive approach towards physical activity level especially in children’s who are inactive. Research shows that physical activity will sharpen the brain and helps children to focus and that is very beneficial thing. These activities helps the youth maintain their weight which combats further diseases in future. By participating in such activities they can build their skills of leadership which enables them to become leaders to achieve their goals. While playing sports they can bring the quality of perseverance which leads them to think critically in different situations. Females of all ages generally have lower physical activity participation rates than male. 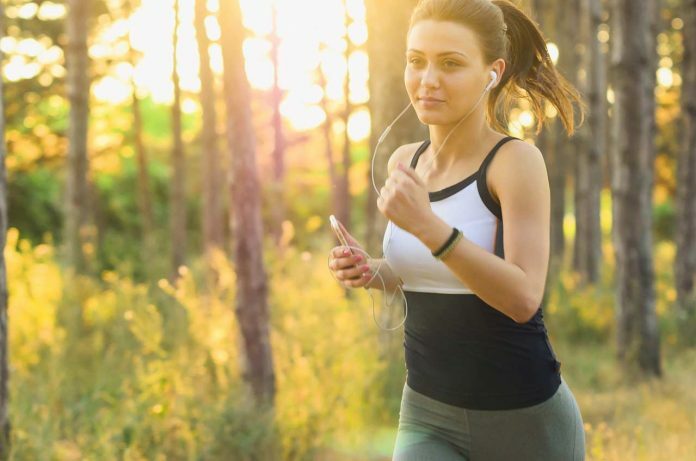 Extreme physical activity needs to be done by females as their reproductive system and stress responses are more sensitive as compared to males. Their health may be protected if an appropriate nutritional diet is followed. With exercise and training many of the negative health effects can be avoided for sure. Any physical activity is better than no physical activity. Among women physical activity and sport helps prevent hip fractures and reduces the effect of osteoporosis. Women’s participating in physical activity and sports have stronger immune system and run a reduced risk of chronic illness ,diabetes ,endometrial, colon and breast cancers. They have healthier menstruation and experience less cramping and discomfort. Among older people physical activity enhances functional capacity, helping maintain quality of life and independence. It acts as a stress reliever and leaves them feeling fresh and satisfied. In addition it has been linked to improve sleep issue which is very important for older people as they suffer from insomnia and disrupted sleep pattern. Older peoples are at a higher risk of falls, Scientists have linked several risk factors related to falls which includes muscle weakness, problems with balance and blood pressure that drops too much when you they get up from lying position or sitting down called (Postural hypotension). They should join a group fitness classes or a walking group to maintain strong social ties with other peoples in the society which can help to reduce loneliness and depression. Regardless of age, I hope that this will motivate everyone to get involve in physical activity and sports to be fit enough and make a contribution of a well-being as physical activity and sports is a strong means for the prevention of diseases. Before starting any sort of physical activity or sports you should have all of its equipment ready to avoid any injury. Sporting gears are various types of footwear which are used in different types of sports. Other protective gears include sports jacket, sports shirts which are commonly used for activities. Look up for these sports equipment in the shop near you or you can even look up for them online; the discount coupons, vouchers, promotional codes so you can pay less and save money. Kasey Rodriguez is a passionate blogger who loves to write on trending topics. She is a featured author at different blogs and is currently working for Discount Codez, a website which provides latest and updated coupons and promos.